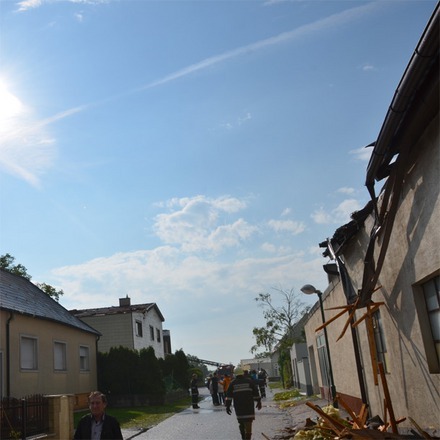 Peacefull town Müllendorf in austrian district of Eisenstadt-Umgebung was hit by unusual event this Saturday. 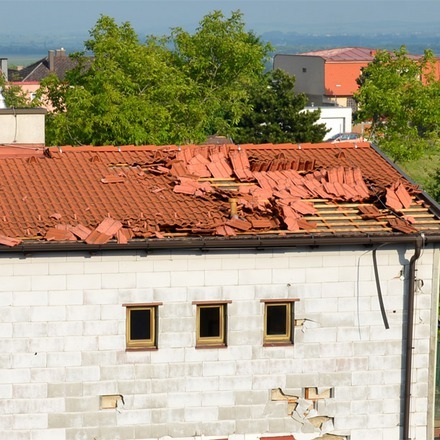 A 80 meter wide tornado swept directly over the houses and gardens, covered dozens homes, uprooted trees and three houses rattled. A weather phenomenon is uncommon for this area. The greater part of Austria lies in the cool/temperate climate zone in which humid westerly winds predominate. With over half of the country dominated by the Alps, the alpine climate is the predominant one. In the east—in the Pannonian Plain and along the Danube valley—the climate shows continental features with less rain than the alpine areas. Although Austria is cold in the winter (−10 – 0 °C), summer temperatures can be relatively warm, with average temperatures in the mid-20s and record temperatures in the mid to high 30s°C.